Laura is a registered yoga teacher, energy worker and long-time cannabis user. Using recreationally for almost 10 years, Laura felt that she lacked the tools and resources necessary to build a healthy and healing relationship with the plant. 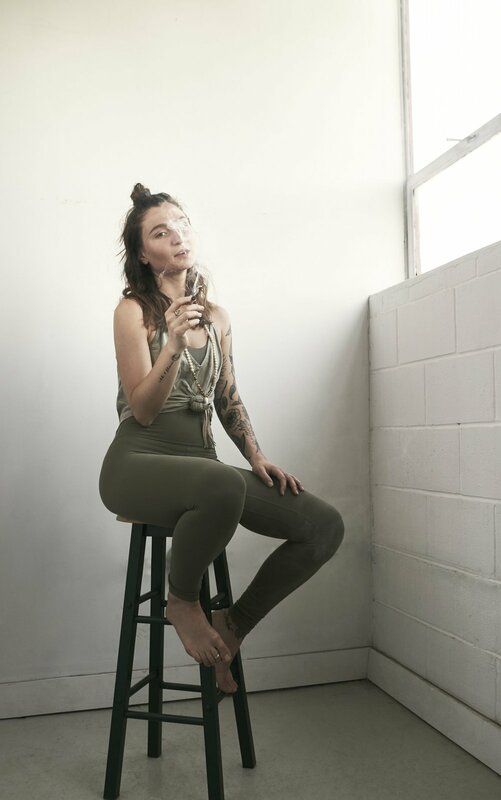 When she began her wellness journey in 2016, diving into yoga, meditation and holistic health, she began experimenting with cannabis as a facet of healing and learning about the curative properties of cannabis. By marrying cannabis consumption to her yoga practice, she quickly realized that by setting the right intention, tailoring the proper strains and incorporating cannabis into her rituals, the plant had the power to guide her through an incredibly profound experience. It allowed her to sink a little deeper, connect a little stronger and feel a little more.